How about that final round in the women’s shot? And who is Jessica Ramsey? 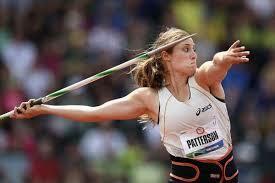 Who is this person, and how many of you had heard of her before she opened with 18.42m last night? And watch out for her in Saturday’s hammer competition. 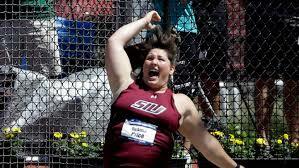 She threw 69.47m in May and she’s got the SIU mojo going for her. Speaking of which, I’m a little embarrassed that I picked Raven Saunders to qualify in the shot and not Jeneva Stevens. Raven is a sensational young thrower, but in hindsight I should have realized that it was going to take nearly 19 meters to make the top three and she is not quite ready for that yet. Jeneva, on the other hand, had the physical maturity and the big meet experience to trade punches with that very, very formidable field of putters. And congrats to Jeneva, who may very well make the team in the hammer as well. One more thought regarding the women’s shot. The top two finishers were gliders: Michelle Carter and Tia Brooks. Jeneva, the third place finisher, is a spinner who used to be a glider and still glides on every other practice throw. Could it be that the key to succeeding in major shot competitions is either to glide or to make your spin as glider-like as possible? Right now, here are our picks for the remaining throwing events. No need to equivocate here. Two throwers will qualify for Beijing. …who made it quite clear earlier in the season that she had finally recovered from major knee surgery thank you very much by tossing 66.47m on May 2nd. 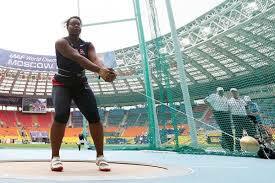 …who hit a season best 64.75m, also in May. 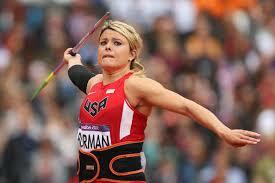 …a two-time USATF champion who has the best throw by an American this year, 72.81m. 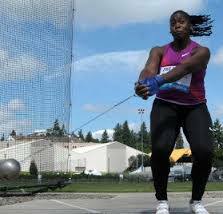 …the defending USATF champion who has thrown 70.94m this season. …who qualified in the shot put last night and has hit 72.69m this season. …and, the aforementioned Jessica Ramsey. …a veteran who broke 71 meters this year (71.08m to be exact) for the first time since 2010. Campbell: In what will likely be a very close competition, experience will see her through. Bingson: American record holder. Two time defending national champion. She has not thrown any bombs this year. Actually, she has not thrown much this year at all. Our guess is that, like Michelle Carter in the shot, she is picking her spots. Stevens: After that performance in the shot, how can we bet against her? There are four legit contenders for three spots here. …who has thrown 64.80m this year. 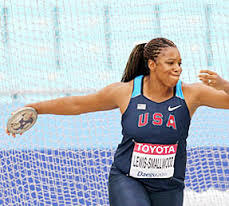 That throw came in Claremont, California, but over the years she has shown that she can consistently break 60 meters in stadiums. …the NCAA champion with a PB of 64.52m. …who hit 63.87m earlier this year (although again at Claremont) and has finished in the top 3 at the last two US Championships. 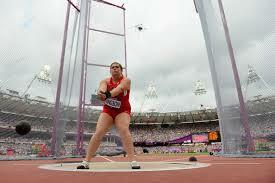 …one of the most successful American discus throwers ever. She has thrown 69 meters and defeated Sandra Perkovic twice in the past two years. Gia: She has struggled this season. An infection in the index finger of her throwing hand has held her back. But, like Michelle Carter, she is the dominant American in her event until proven otherwise. Ashley: She will very likely throw 60 meters in this meet, and that will be enough. Also, Trofimuk and I saw her come out of nowhere to win the NCAA title in Des Moines. And we…have not…forgotten. Vaughan: Has dominated at the collegiate and junior level. 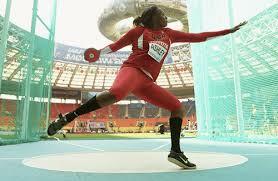 Last year, she threw 63.60m in Lexington, Kentucky. 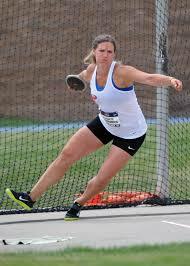 This year, she threw 64.52m in Starkville, Mississippi. We are not saying that they don’t have wind in those places, but it is refreshing to see an American whose PR was not set in California. All the contenders should take turns treating Reese Hoffa to dinner, because by winning last year’s Diamond League shot title he earned an automatic spot in Beijing, thus opening a place for three additional US putters. Too many to talk about. Who (besides Reese) goes to Beijing? 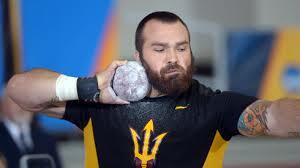 …who, for the first time since Adam Nelson in 2000, has made 22-meter throws look pedestrian. …who has thrown 21 meters in each of his two Diamond League appearances. Great under pressure. Coach Dave Dumble once described him as “having it between the ears.” Translation: he does not choke. Plus, Trofimuk and I saw him win two NCAA titles in Des Moines, so we are big fans. …who, by his standards, is not having a great year. However, his standards are too high for most mere mortals. He will throw 21 meters and make the team. Here’s hoping for an action-packed weekend of throws!